CreditorsRightsLawFirms.com | The online, nationwide directory of experienced creditor’s rights attorneys. The online, nationwide directory of experienced creditor’s rights attorneys. Prologue: On June 5, 2015, I had the privilege of writing an article for this blog entitled To Moot or not to Moot. In the article, I analyzed Tanasi v. New Alliance Bank,[i] in which the Court of Appeals for the Second Circuit affirmed that a District Court maintains jurisdiction when a Plaintiff’s individual claims are not moot at the time the District Court denies a defendant’s motion to dismiss. [ii] This was despite the fact that the Tanasi defendants made a Rule 68 Offer of Judgment[iii] to Plaintiff for full relief on his individual claims. As noted in the prior article, the Second Circuit expressly declined to rule on the certified question as to whether the plaintiff’s putative class action claims, brought pursuant to Rule 23 of the Federal Rules of Civil Procedure,[iv] provided an independent basis for Article III standing (e.g., having a case or controversy before the court). Yesterday, the Supreme Court of the United States, in Campbell-Ewald Co. v. Gomez,[v] resolved the disagreement among the Courts of Appeals over whether an unaccepted Offer of Judgment can moot claims made by a putative class action plaintiff, thereby depriving federal courts of Article III jurisdiction. Here, Gomez filed a putative class action lawsuit against Campbell-Ewald Co. (Campbell), a nationwide advertising and marketing communication agency, under the Telephone Consumer Protection Act (TCPA)[vi]. In response, Campbell offered to pay Gomez his costs, excluding attorney’s fees,[vii] and $1,503 per message for the text messages at issue and any other text message Gomez could show he had received, thereby fully satisfying plaintiff’s personal treble-damages claim. Additionally, Campbell proposed a stipulated injunction in which it agreed to be barred from sending text messages in violation of the TCPA. In essence, the majority’s decision allows a putative class plaintiff to seek redress for an alleged injury, even after the defendant agrees to fully redress that injury. Undoubtedly, self-proclaimed consumer attorneys are applauding this decision. However, many of you reading this are painfully aware that thousands of lawsuits are filed each year against law-abiding businesses that thought they were taking the right precautions to stay within the law. Unfortunately, this decision may serve to strengthen vexatious litigation tactics regularly used for the sole purpose of increasing the fees and costs associated with protracted litigation. Because an unaccepted Offer of Judgment has no force (in this context), it is no longer an open question of law as to whether a putative class action claim under Rule 23 independently provides for Article III justiciability. On the other hand, the reallocation of risk effectuated through properly applying Rule 68 is still a powerful litigation tool. This especially applies to the archetypal statutory consumer case where class action pleadings are used for leverage rather than in anticipation of actual certification. The information and materials in this article are provided for general informational purposes only and are not intended to be legal advice. The law changes frequently and varies from jurisdiction to jurisdiction. Being general in nature, the information and materials provided may not apply to any specific factual and/or legal set of circumstances. No attorney-client relationship is formed, nor should any such relationship be implied. Nothing here is intended to substitute for the advice of an attorney, especially an attorney licensed in your jurisdiction. [ii] Since the district court had not yet entered judgment against the defendants when it reached its decision on the motion to dismiss, the court maintained Article III subject matter jurisdiction over the case regardless of Tansi’s putative class action claims. Id. [iii] Federal Rule of Civil Procedure 68(a) provides that at least fourteen (14) days before trial, a “party defending against a claim may serve on the opposing party an offer to allow judgment on specified terms, with costs then accrued. If, within fourteen (14) days after being served, the opposing party serves written notice accepting the offer, either party may then file the offer and notice of acceptance . . . . The clerk must then enter judgment.” Although, [a]n unaccepted offer is considered withdrawn . . . [i]f the judgment that the offeree finally obtains is not more favorable than the unaccepted offer, the offeree must pay costs incurred after the offer was made.” Fed. R. Civ. P. §§ 68(b), 68(d). [iv] Rule 23 governs the procedure and conduct of class action suits brought in Federal courts. [vii] The TCPA does not contain a statutory fee shifting provision. [viii] $1,500.00 per text message, plus the costs of filing suit. In response to 21 petitions from a number of businesses and trade associations, on July 10, 2015, the U.S. Federal Communications Commission (“FCC”) released a Declaratory Ruling and Order (“DRO”)[i] regarding requirements established by the Telephone Consumer Protection Act of 1991 (“TCPA”). [ii] As described below, the DRO is already the subject of multiple consolidated lawsuits challenging the FCC. 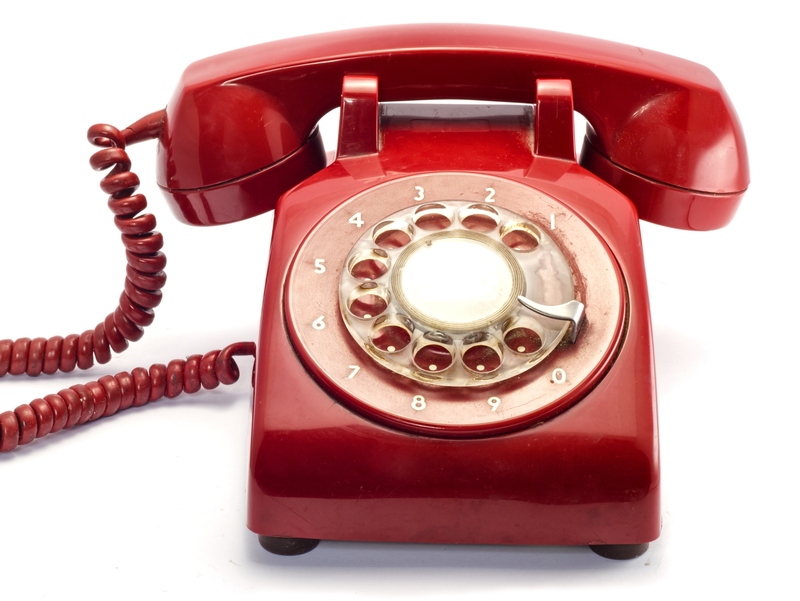 Broadening the definition of Automatic Telephone Dialing System: The DRO applies the TCPA to equipment that cannot currently store or produce telephone numbers to be called using a random or sequential number generator and that cannot currently dial such numbers. The FCC found that (a) the TCPA does not exempt equipment that lacks the present ability to dial randomly or sequentially and that (b) Potential ability is consistent with the interpretation of capacity. Articulated in the DRO, the test is whether there is more than a theoretical potential that the equipment could be modified to satisfy the autodialer definition codified under the TCPA. Reassignment of Phone Numbers: In the case of a reassigned phone number, a caller without knowledge of reassignment with a reasonable basis to believe it has a valid prior consent can initiate a grand total of one phone call to gain knowledge of reassignment, and then must cease all further communication regardless of the substance (if any) of the single phone call. Revocation of Consent: The DRO states that prior consent for communications covered by the TCPA can be revoked at any time, by any reasonable means, including orally at a store or bill payment location. As demonstrated above, it is axiomatic that the original intent of the TCPA was not to someday create a Trial Lawyer Protection Statute. In fact, based strictly on the TCPA’s statutory damage design[vii] the TCPA has become the litigation vehicle of choice for self-proclaimed consumer class action attorneys. As it stands, anyone that contacts consumers (in the broadest sense of the term), using the expansive technologies falling under the TCPA, faces the real risk of a lawsuit leading to potentially significant liability. Therefore, it is not surprising that lawsuits have already been filed challenging the FCC’s DRO. ACA International brought suit against the FCC in the United States Court of Appeals for the District of Columbia Circuit[viii] challenging the rulings as arbitrary, capricious and an abuse of discretion. Likewise, the Professional Association for Customer Engagement[ix] and Sirius XM Radio[x] brought suit challenging the FCC’s DRO, specifically requesting that the court vacate the DRO. All three cases have been consolidated into a single lawsuit before the United States Court of Appeals for the District of Columbia Circuit. [xi] In addition, the Council for American Survey Research Organizations and the Marketing Research Association have already jointly moved for leave to intervene as parties directly adversely affected by the DRO. As it stands, there is no hearing calendared. Impliedly connected to the abovementioned lawsuits challenging the DRO are the dissenting statements from FCC Commissioners Ajit Pai and Michael O’Rielly. These statements point to egregious errors and inconsistencies contained within the DRO and the FCC’s apparent abandonment of standard statutory construction practices. As a general underlying proposition behind Commissioner Pai’s dissent, the Commissioner pointed to a recent article in the Wall Street Journal, discussing how TCPA trial lawyers profit in the amount of about $2.4 million per suit simply by targeting legitimate domestic businesses. [xii] To quantifiably establish that the TCPA has become the poster child for lawsuit abuse, Commissioner Pai introduced statistics exhibiting that the number of TCPA cases filed each year skyrocketed from 14 in 2008 to 1,908 in the first nine months of 2014. TaxiMagic sent confirmatory text messages to customers who called for a cab. Each message indicated the cab’s number and when the cab was dispatched to the customer’s location. Even though customers seemingly appreciated this service, a trial attorney instead saw an opportunity to profit, and a TCPA class-action lawsuit swiftly followed. Id. On the statutory question regarding the ambiguity of the term “capacity,” Commissioner Pai stated: “[T]he Order’s expansive reading of the term ‘capacity’ transforms the TCPA from a statutory rifle-shot targeting specific companies that market their services through automated random or sequential dialing into an unpredictable shotgun blast covering virtually all communications devices.” Id., at 115. Commissioner O’Rielly did not mince his words, specifically referring to the DRO as a “farce,”[xiv] and describing the DRO as so expansive that the FCC had to use rotary phones as an example of a technology that would not be covered. By way of analogy Commissioner O’Rielly likened the DRO to “the FAA regulating vehicles because with enough modifications cars and truck could fly, and then using a skateboard as an example of a vehicle that does not meet the definition.” Id., at 128. The FCC has expanded the TCPA as a permissible litigation minefield and a virtual license to print money for class action plaintiffs and their attorneys. As succinctly put by Commissioner Pai, “Having opened the door wide, the [FCC] cannot then stipulate restraint among those who would have a financial incentive to walk through it.”[xxvi] It’s still not too late for the courts and legislators to listen to reason and overhaul or appropriately interpret the TCPA so that it can no longer be misused to intimidate and batter legitimate businesses and industries. The information and materials in this blog are provided for general informational purposes only and are not intended to be legal advice. The law changes frequently and varies from jurisdiction to jurisdiction. Being general in nature, the information and materials provided may not apply to any specific factual and/or legal set of circumstances. No attorney-client relationship is formed, nor should any such relationship be implied. Nothing in this blog is intended to substitute for the advice of an attorney, especially an attorney licensed in your jurisdiction. If you require legal advice, please consult with a competent attorney licensed to practice in your jurisdiction. [iii] H.R. Rep. No. 102-317 (1991). [iv] 137 Cong. Rec. S9874 (daily ed. July 11, 1991) (statement of Sen. Hollings). [v] See Cong. Rec. – Senate Proceeding and Debates of the 102nd Congress, First Session, supra, 137 Cong. Rec. at S9874. [vi] 137 Cong. Rec. 30821–30822 (1991). [vii] Each call, text or fax deemed to be in violation translates to damages of $500 to $1,500. [xii] Adonis Hoffman, “Sorry, Wrong Number, Now Pay Up,” The Wall Street Journal (June 16, 2015), available at http://on.wsj.com/1GuwfMJ; see also John Eggerton, “FCC’s Hoffman Looks Back, Moves Forward,” Broadcasting & Cable (Mar. 23, 2015), available at http://bit.ly/1GEQYNR (quoting Hoffman as saying “This consumer protection, anti-telemarketing statute has been leveraged by aggressive plaintiffs’ lawyers to line their pockets lavishly with millions, while consumers usually get peanuts… . I think the TCPA should be known by its real acronym—‘Total Cash for Plaintiffs’ Attorneys.’ This is just one example where the public interest is not being advanced responsibly.”). [xiii] FCC DRO, Dissenting Statement of Commissioner Ajit Pai, at 113. [xiv] FCC DRO, Dissenting Statement of Commissioner Michael O’Rielly, at 124. [xxvi] FCC DRO, Dissenting Statement of Commissioner Ajit Pai, at 116 [footnote 581].